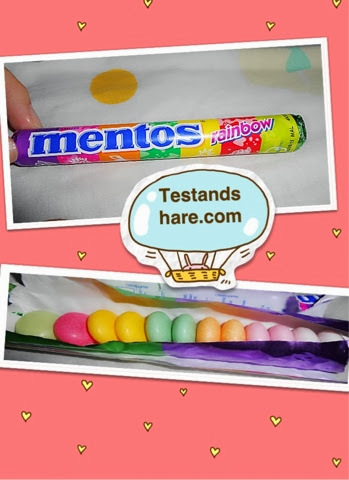 Mentos -a cult candy brand created for the young generation,Mentos is known throughout the world as the freshest mint.Available in more than 100 countries, it started almost a century ago as an irresistibly fresh candy with an innovative "chewy" concept- crunchy and fresh on the outside but chewy on the inside. 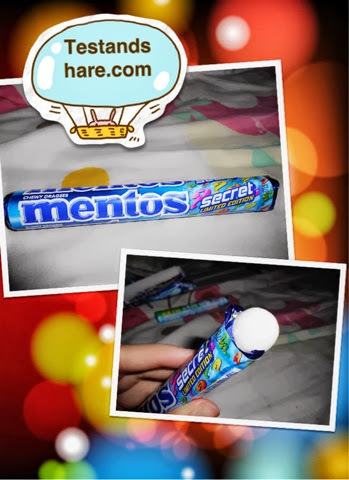 Mentos' innovative and unconventional brand positioning in terms of product concepts, packaging and flavours with freshness unlimited has made it one of the most recognized candy in the world. 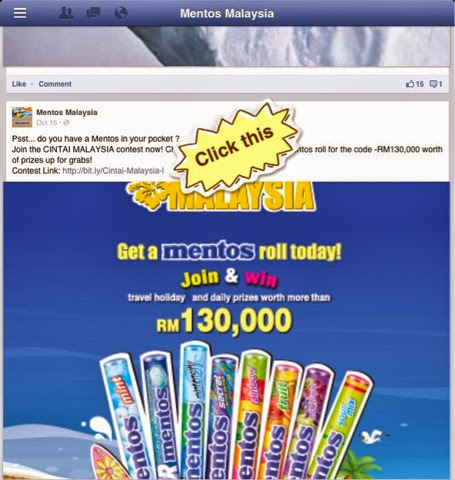 Mentos roll is Mentos 's classic and longest running candy type, enjoyed since 1950. 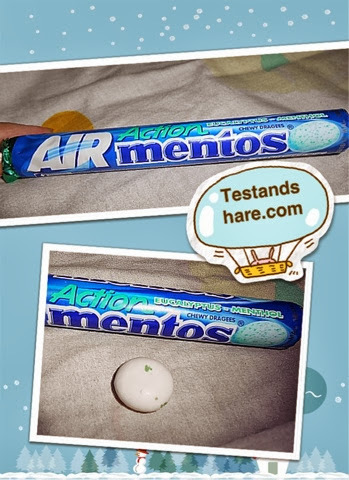 Among of Mint, Air Action, Mintensity, Secret, Rainbow,Fruit,Mix Grape,Sour Mix , my favorite is secret, Mint, Air action. 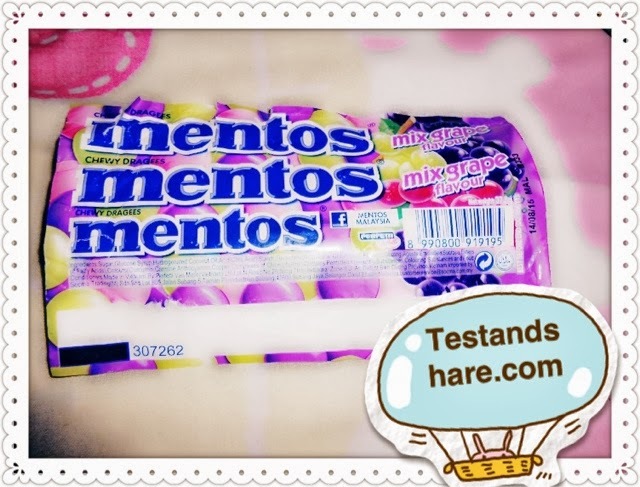 Rainbow , fruit, mix grape, sour mix is fruit taste mentos roll. 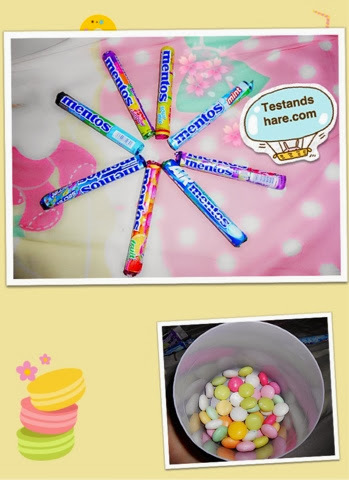 However, sour mix will be more sour than the others. 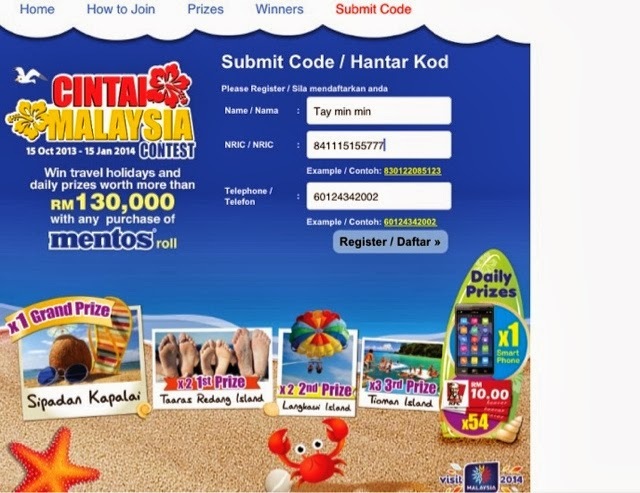 By the way there is a good news for u, Mentos Malaysia is having a 'Cintai Malaysia Contest' in conjunction with Tourism Malaysia 's 2014 visit Malaysia promotion.Contest period -- 15 oct 2013 until 15 JAN 2014. 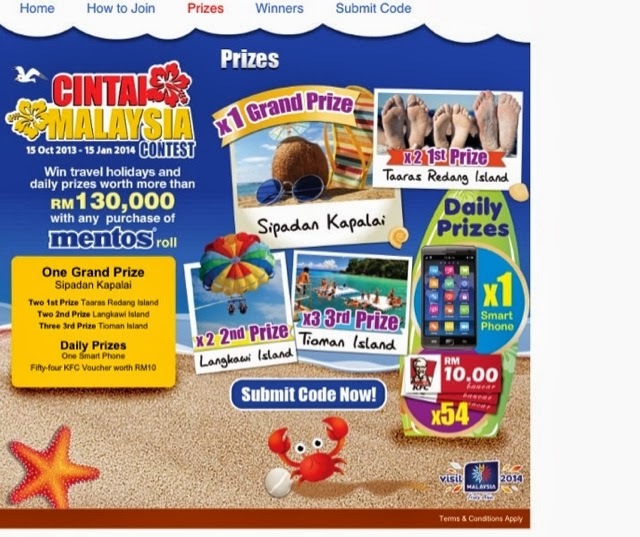 Daily prize and Travel Package Prize is worth over RM 130,000 . 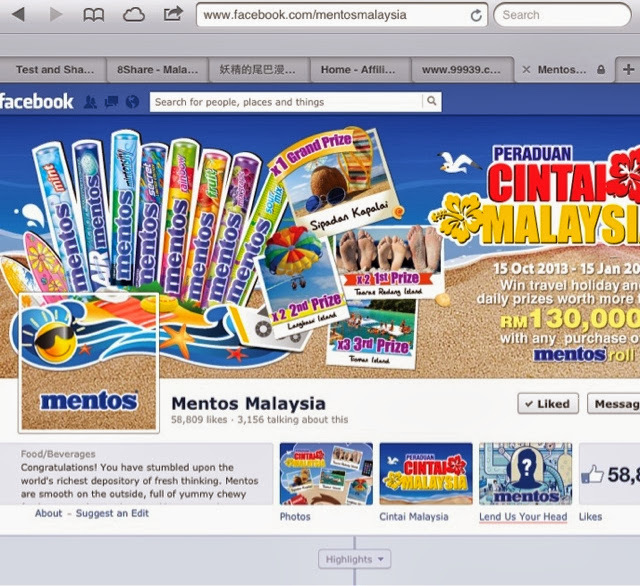 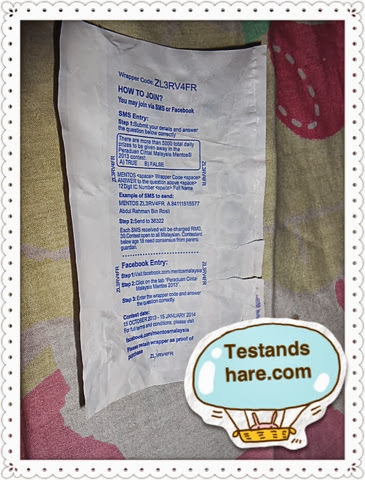 U can take part it by SMS method or Proceed to Mentos Malaysia Facebook. 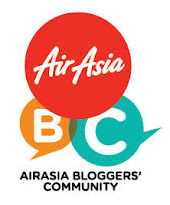 Click the contest link then it will redirect u to the contest window which include submit code section. 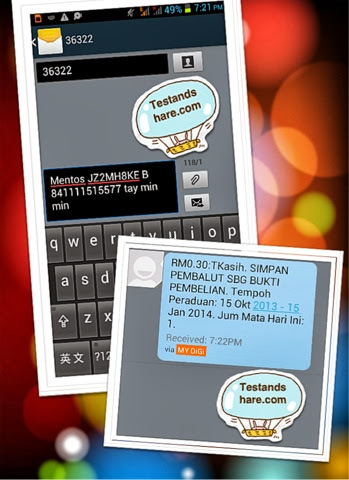 Daily prizes include one smart phone and 54 KFC vouchers worth RM10 each.